We had heard the buzz around this place and were curious about trying it but, for some reason, it took us a while. Now we cannot stop going back. Kanaan is simply that good. Some of the best middle eastern flavors you will find in town. 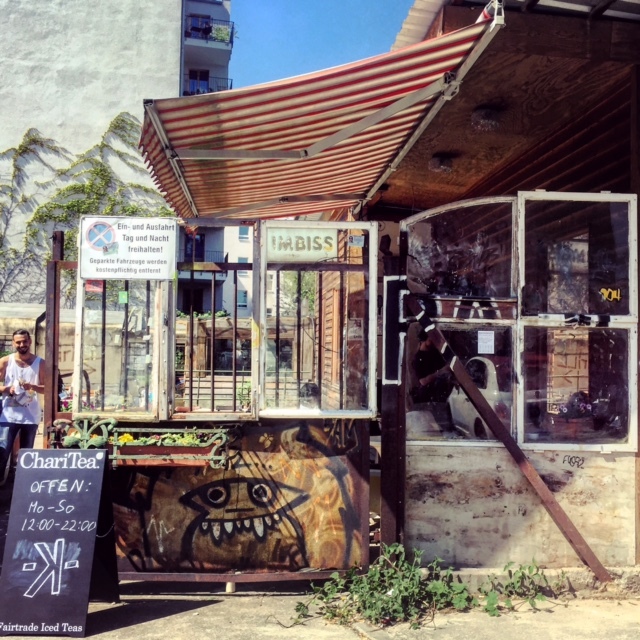 Kanaan is located on a quiet and super cool area between Prenzlauer Berg and Pankow neighborhoods. 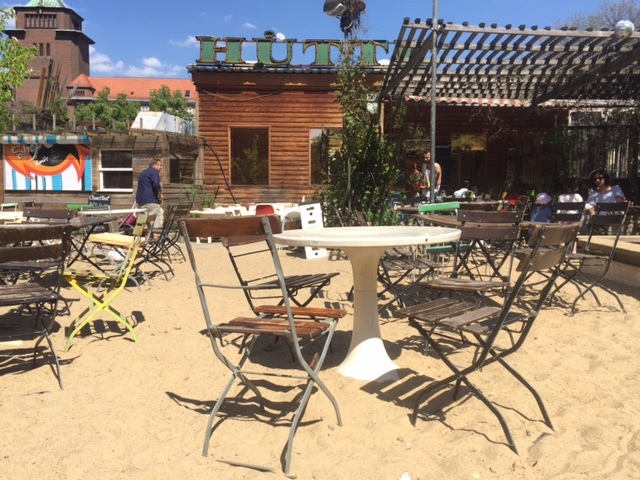 In fact, it is a perfect lunch or dinner spot if you are exploring the Mauerpark area. Take the subway (both S-Bahn and U-bahn) to Schönhauser Allee Station and walk for 5-7 minutes. 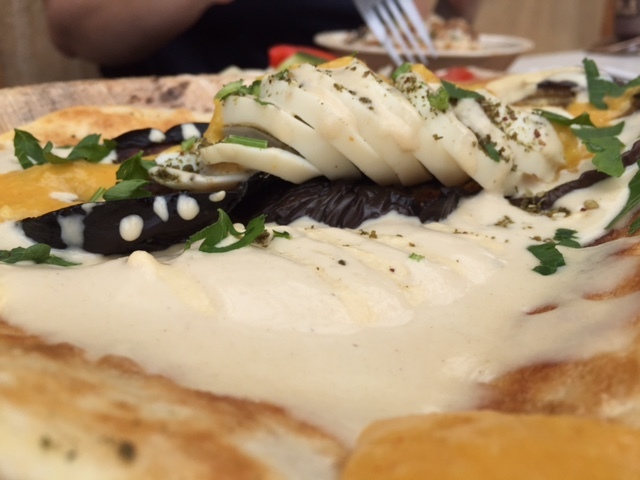 They have recently opened Kanaan Express in Kreuzberg and we have yet to go by, but we hear the food is just as good. The restaurant is located on a corner lot and looks quite interesting with unmatching everything…from chairs, to tables and fixtures. Very “Industrial with a touch of East Berlin”. Very casual and funky. 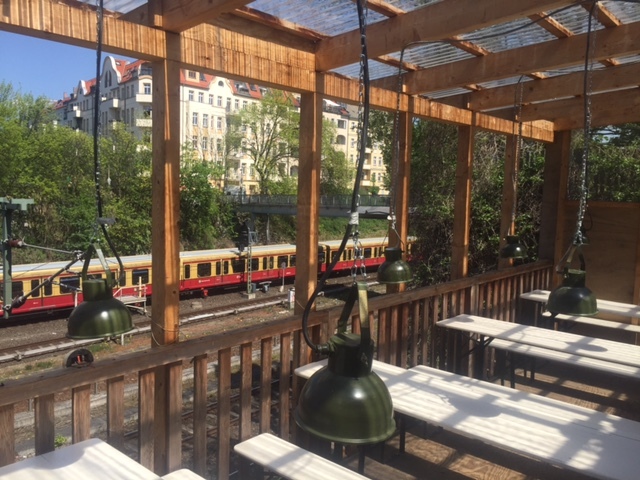 Most tables are outdoors, but there is quite an atmospheric covered back area, where you can sit and observe the trains go by! Yes, Kanaan is located right above the train tracks. Super cool! The staff is not only good-looking but also very, very friendly. Service is good and to the point. And the food….ah…the food. We basically loved everything we have eaten here. Every time! The menu reflects the multi cultural bakground of owners and chefs. Israel, Palestine, Syria, Morocco, Russia are only a few of the represented cultures. 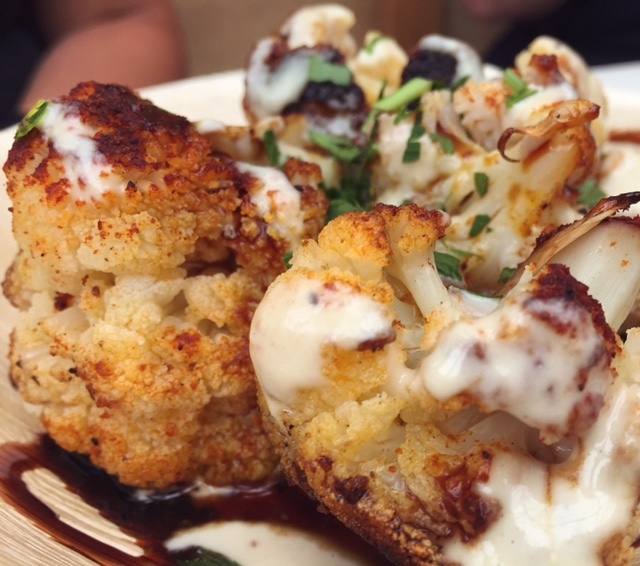 We simply cannot get the Malawach Sabich and the increadible Cauliflower dish (we had to order it twice!) out of our minds! That said, you are safe ordering pretty much anything on the menu. 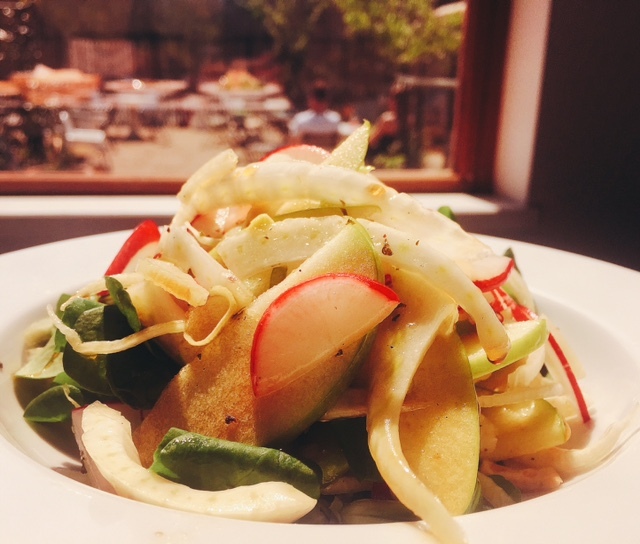 Come here for lunch, dinner or brunch! We have recently learned that beyond making delicious food, Kanaan is also a very socially responsible business. They often cook with refugee chefs and have a great program where they pair at-risk German youth with refugee youngsters and get them working together on their spice business. Sounds great, ha? Best savory German Food and the Berlin restaurants to try them.